Lawn Boy walk-behind mowers are some of the best known on the market. Although usually reliable, performance issues with your Lawn Boy may make lawn maintenance incredibly frustrating. Most performance issues can be narrowed down to poor maintenance or one faulty part. Troubleshooting the issue to narrow down where the problem may stem from prevents unnecessary repairs and costs. Lawn Boy has authorized dealers throughout the country. Contact your local dealer for replacement parts. Performance issues may be due to poor maintenance. Check the fuel of the mower. 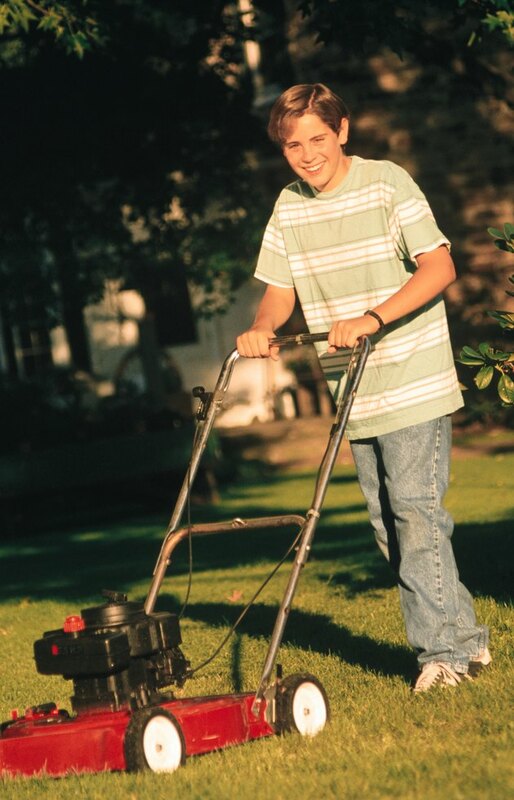 Lawn Boy recommends using fuel that is less than 30 days old. Fill the gas tank if it is empty. Inspect the wire leading to the spark plug on the Lawn Boy mower. Press on it to make sure it is firmly attached. Remove the spark plug wire and inspect the plug. Clean the spark plug if it is dirty. Replace it if it is corroded. Remove the screw holding the plate covering the air filter on your Lawn Boy mower. Inspect the air filter for dirt. Replace the filter if it is paper and dirty. Soak a foam filter in warm water and liquid dish soap and squeeze dry. Inspect the oil of the Lawn Boy mower. Replace the engine oil for every 25 operating hours. Failure to do so will create running issues.